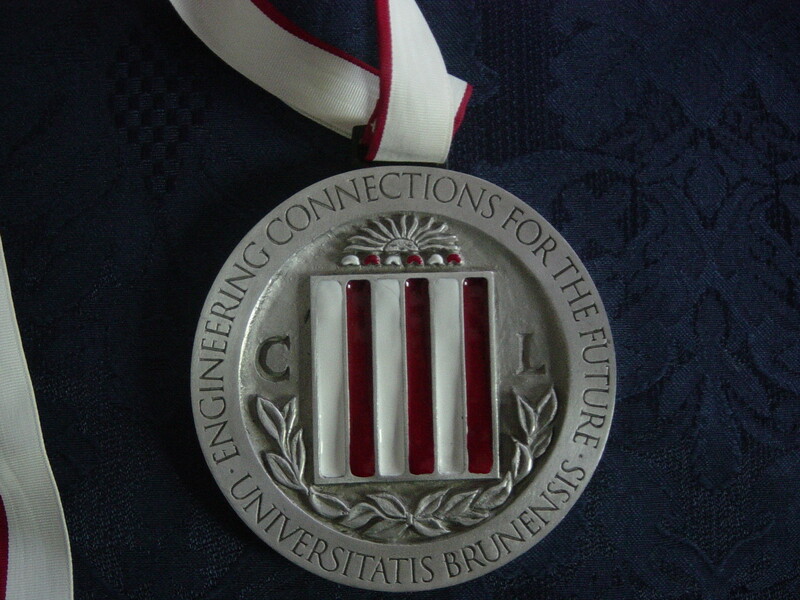 Panos Antsaklis, the H. Clifford and Evelyn A. Brosey Professor of Electrical Engineering, was awarded an Honorary Doctorate (Docteur Honoris Causa) by the University of Lorraine (Universite de Lorraine), Nancy, Lorraine, France. 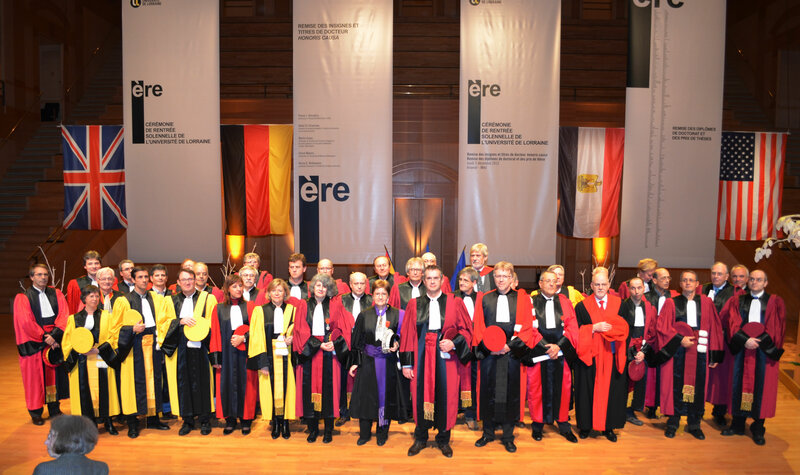 The award ceremony took place on December 3rd, 2012 in Metz. The University of Lorraine is one of the largest universities in France. It was founded by the merger of four Universities, the Henri Poincare University (Nancy-I), Nancy-II, Paul Verlaine University - Metz and the National Polytechnic Institute of Lorraine (INPL). 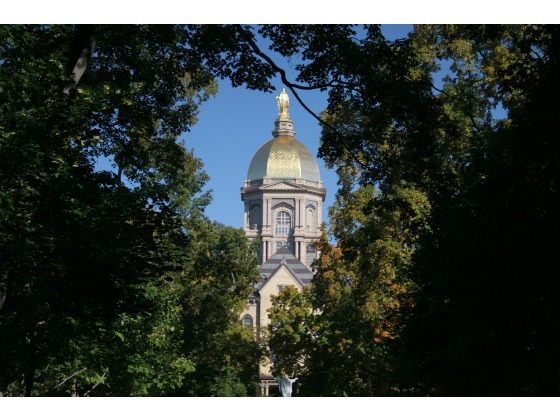 He is the recipient of the 2013 Faculty Award of the University of Notre Dame. 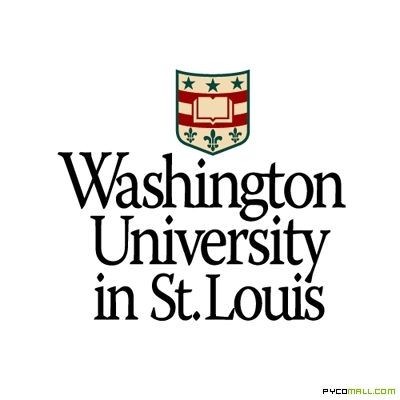 The Faculty Award was established in the 1927-28 academic year and singles out that faculty member, who in the opinion of his or her colleagues has contributed outstanding services to the University. Nominations are received from the faculty at large and a committee of former Faculty Award winners makes the final selection. Recognized on the field (20-yard line) at the ND vs. Boston College game, November 19, 2011 in front of 85,000 football fans. Presented with a signed football by Provost Tom Burish. Master Mentor of Graduate Students, the Graduate School, Univ. of Notre Dame, 1999. Outstanding Teacher Award for Undergraduate Teaching, Dept. of Electr. Engr., Univ. of Notre Dame, 1991. Each year the Council elects members whose efforts on behalf of the advancement of science or its applications are scientifically or socially distinguished. The IFAC Fellow Award is given to persons who have made outstanding and extraordinary contributions in the field of interest of IFAC, in the role as an Engineer/Scientist, Technical Leader, or Educator. IEEE Fellow Award 1991. Citation reads: "For contributions to the theory of feedback stabilization and control of linear multivariable systems." IEEE Distinguished Lecturer, Control Systems Society, 1996-2003. 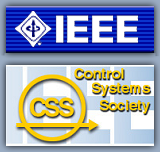 President IEEE Control Systems Society (CSS), 1997. General Chair, 34th IEEE Conf. on Decision and Control, New Orleans, LA, December 1995. General Chair, 8th IEEE Intern Symposium on Intelligent Control, Chicago IL, August 1993. Program Chair, 30th IEEE Conf. on Decision and Control, Brighton, England, December 1991. Founding President of the Mediterranean Control Association (MCA). President, since 1998. Program Chair, European Control Conference 2007 (ECC'07), Kos, Greece. July 2-6, 2007. EUCA, European Union Control Association. 2001 Zaborszky Lectures in the Department of Systems Science and Mathematics, Washington University, St. Louis, Missouri, on March 19-21, 2001. Fulbright-Hayes Fellowship (Travel Grant) 1972-1977. For services as the Director of the Greek School and as the Founding President of the Hellenic Cultural Society.